So this recipe has been a long time in the making. I’ve been desperate to perfect it and I think I’ve just about nailed it! 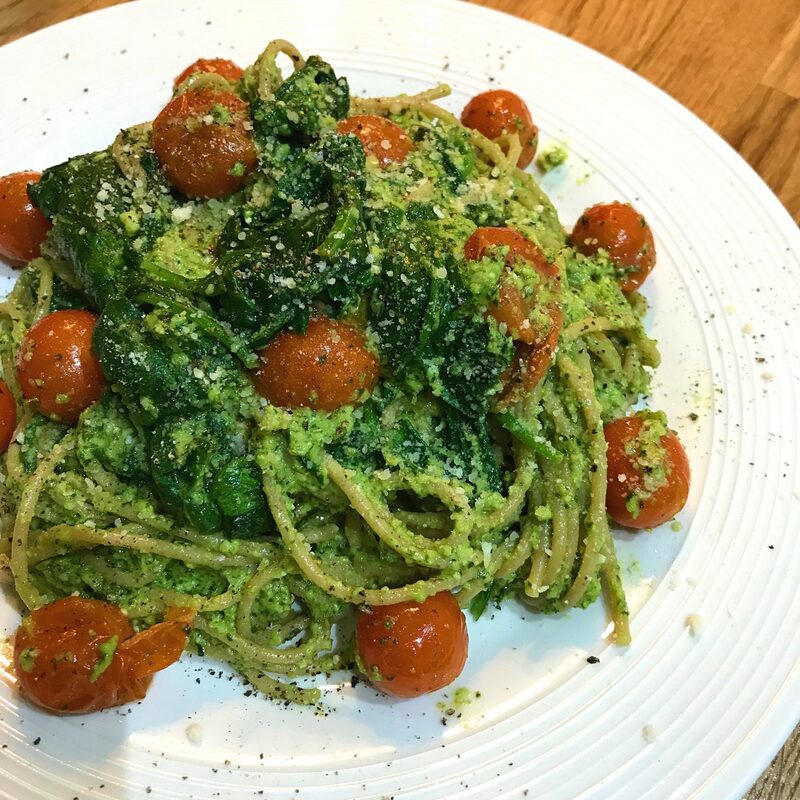 A slightly different twist on a classic recipe… I like mine mixed into wholemeal pasta with chicken, cherry toms, spinach and mushrooms… with a snowstorm of extra parmesan on top (ohhhh yeaaaaah). If you want to mix it in to additional ingredients, mix it in cold after you’ve cooked everything through and turned the heat off just before serving. Deeeelish! It should also keep in the fridge for 2-3 days, so I always make extra for lunch another day #adulting. Add in the avocado and blitz until smooth - depending on how big your avo is, you may need to add slightly more parmesan, lemon and garlic - but these quantities feel just about right to me! Dollop onto some steaming pasta, sprinkle on extra parmesan and enjoy!